This autumn’s Textile Forum running from 10-11 October 2018 at One Marylebone, London, will be showcasing its broadest range of luxury fabrics to date, with many exhibitors emphasising not just the quality of their fabrics, but also their provenance. A W Hainsworth is using Textile Forum as the launch pad for its new lambswool fabric. Best known for its heavier wools, AW Hainsworth are responding to the needs of the market by offering this new luxurious lighter weight cloth that is ideal for spring / summer garments for women. Dormeuil will have its latest collection of luxury cloths made in the UK, as will Linton Tweeds. First-time exhibitor Anbella Designs, part of Antex Broderie, specialists in Schiffli machine embroidery, will be showcasing a low minimum order range of limited edition designs. Also new to the show is Dentelles Méry producers of Calais lace using traditional leavers lace machines. Other new exhibitors include Higgs & Higgs, which brings European made cotton prints and jerseys, Jozwiak with wool and wool blend fabrics designed for classic menswear and corporatewear and Weavabel with its range of handtags, labels, leather patches and packaging. Top end retail fabric buyers are a target visitor for Textile Forum Jane Makower has been selling into this sector for many years and her eponymous collection is now available from Litmans Lace and Fabrics . On its stand at Textile Forum in October will be the most popular core lines, including moss crepe, needlecord, corded lace, transparent tulle and duchess satin. 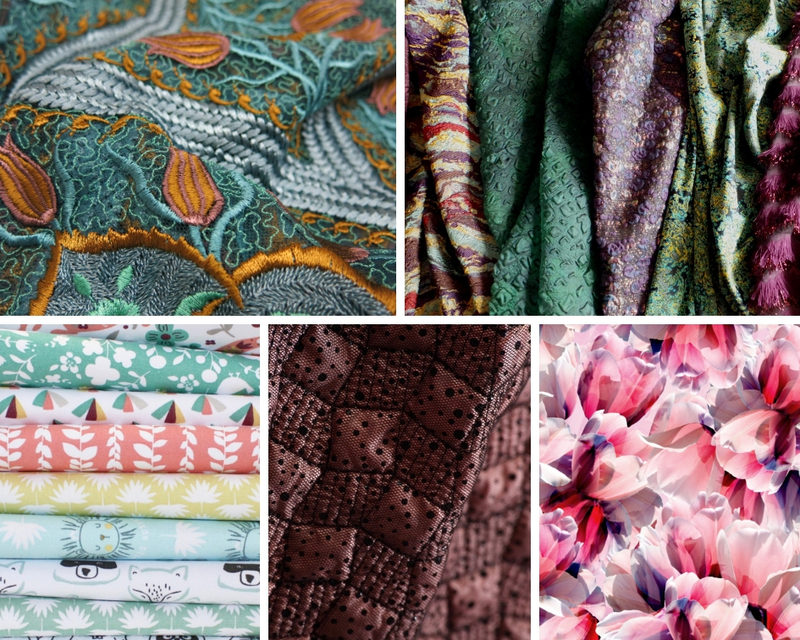 “This season’s Textile Forum has once again raised the bar on the variety of collections available to designers looking to source fabric and accessories for their current and future seasons’ collections,” confirms Packham. Textile Forum is the luxury fashion fabric fair for designers of menswear, womenswear, bridalwear, special occasionwear, lingerie, childrenswear and accessories looking to source the very best collections of fabrics and accessories available with small minimums. Textile Forum is open 10am to 6pm.